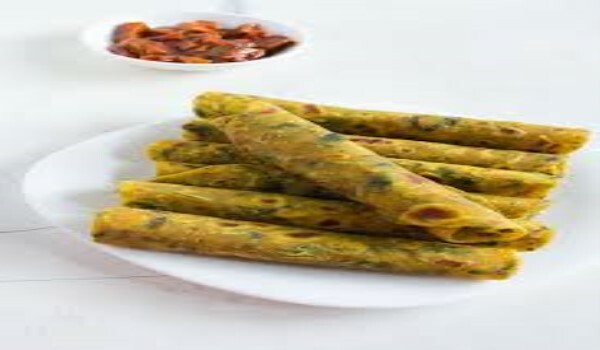 Methi Thepla is a simple, fast and tasty recipe. Learn how to make/prepare Methi Thepla by following this easy recipe. Take a large bowl and mix all the ingredients in it. Add tablespoon oil and knead it with water, set aside for 15 minutes. Make small sized balls of the dough. Heat oil in a griddle and roast them on both the sides. Serve hot with butter or chutney.